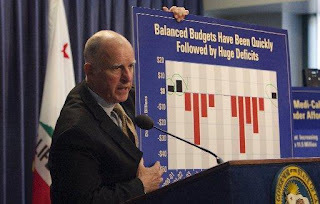 In 2014, the Legislature finally addressed the $74 billion unfunded liability in the California State Teachers Retirement System (CalSTRS) Defined Benefit Program. While long overdue, the Legislature’s action will significantly degrade California’s K-12 public education system. By placing the burden of paying down this debt primarily on school districts without providing any new funds to do it, the Legislature’s 30-year mandate will force stagnant wages and teacher layoffs. The CalSTRS’ Defined Benefit Program provides pension benefits to our children’s teachers, who do not receive Social Security benefits. Teachers count on the CalSTRS benefits in pursuing a teaching profession. The Big Push To Insource Pension Assets? Denmark’s biggest pension fund has halved the amount of money it outsources to external asset managers over the past two years, arguing that increased scrutiny of costs and transparency has made hiring them untenable. ATP, which manages DKr806bn (£91bn) for 5m Danish pensioners, used to allocate more than a third of its DKr101bn (£11.4bn) investment assets to external fund managers. However, Kasper Lorenzen, the chief investment officer, told FTfm that this has halved to 19 per cent since December 2014, a loss of DKr19.3bn (£2.2bn) for the industry. “Some of these more traditional, old-school mandates, where you hire some asset manager, and then they track a benchmark and try to outperform by 14 basis points . . . we kind of tried to get rid of that,” Mr Lorenzen said. Sparks Fly at CFA Montreal Luncheon? 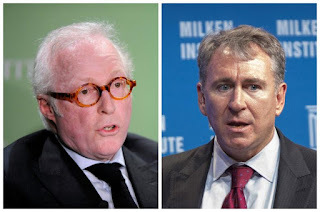 Along with François were Stéfane Marion, Chief Economist and Strategist at the National Bank of Canada and Ari Van Assche, professor of business from HEC Montréal. 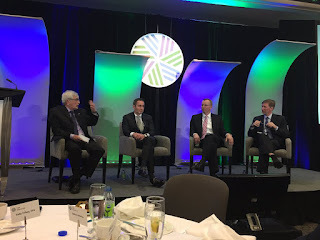 Clément Gignac, Senior Vice-President and Chief Economist at Industrial Alliance Financial Group was the moderator and he did an excellent job. Please note some of the presentations are available on the CFA Montreal website here. In particular, you can download Stéfane Marion's presentation here and Ari Van Assche's presentation here. Unfortunately, François Trahan's presentation is not on the CFA Montreal website. I contacted François this morning by email to get it but he told me his compliance department said it's a no-go (why are compliance people so fussy on such trivial matters?!?). Harvard's Endowment Adopts Yale's Model? Explaining that challenging investment times demand “we adapt to succeed,” the new head of the Harvard Management Company (HMC) announced sweeping internal changes today, including a major shift in investment strategy, workforce reductions, and a compensation system tied to the overall performance of the University’s endowment. N.P. 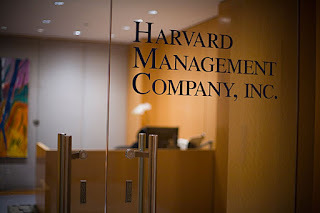 Narvekar, who took over as HMC’s president and chief executive officer on Dec. 5, immediately began executing his reorganization, announcing four new senior hires: Rick Slocum as chief investment officer, and Vir Dholabhai, Adam Goldstein, and Charlie Savaria as managing directors. Canada Has No Private Equity Game? When you look at who attended last week’s World Economic Forum in Davos, it’s striking how many are global investors or work for large funds – and in particular, private-equity firms. The question Canadians should be asking themselves is, how do we ensure that Canada receives its fair share of the trillions of dollars deployed by global investment funds, including real estate, infrastructure, venture capital and private equity? How can our entrepreneurs and company owners benefit from this growth capital and the opportunities that come with it? How can we create an investment ecosystem that gives rise to more Canadian investment firms led by top professionals? 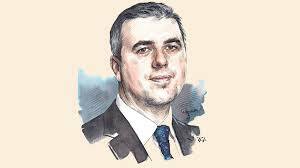 Elite Hedge Funds Shafting Clients on Fees? Investors are starting to sour on the idea of reimbursing hedge funds for multi-million dollar trader bonuses, lavish marketing dinners and trophy office space. Powerful firms such as Citadel LLC and Millennium Management LLC charge clients for such costs through so-called "pass-through" fees, which can include everything from a new hire's deferred compensation to travel to high-end technology. It all adds up: investors often end up paying more than double the industry's standard fees of 2 percent of assets and 20 percent of investment gains, which many already consider too high. Investors have for years tolerated pass-through charges because of high net returns, but weak performance lately is testing their patience. Sabia Departs Davos With More Questions? All Roads Lead to Dallas? Ontario Teachers' Eyes New Tack? CPPIB Acquires an IT Giant? Scandal at Korea’s Retirement Giant? Outlook 2017: The Reflation Chimera?